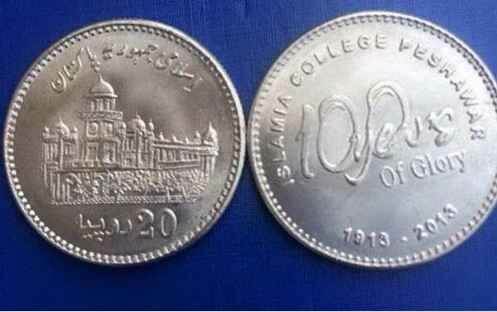 Lahore: State Bank of Pakistan has issued Rs 20 coin to commemorative 100th anniversary of Islamia College Peshawar. 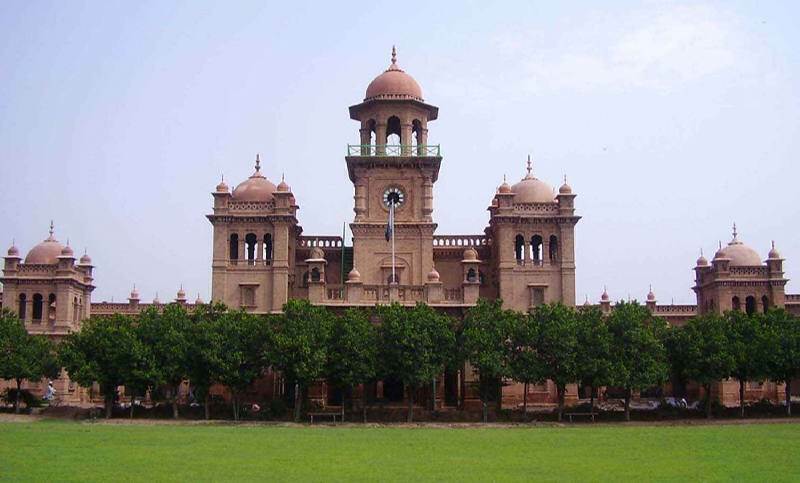 Islamia College is an institution located in the city of Peshawar. It was founded in October 1913 by regional leader Nawab Sir Sahibzada Abdul Qayyum and then Chief Commissioner of the province Sir George Roos-Keppel in an effort to provide quality education to the region’s youth. Today, the college educates its students in arts, humanities and modern sciences. In 1950 University of Peshawar was founded as an offshoot of Islamia College Peshawar, with the later being associated to the university as a constituent college. In the year 2008 the college was given the status of a chartered university, with Muhammad Ajmal Khan appointed as its first Vice Chancellor. When the new province of Khyber Pakhtunkhwa (previously N.W.F.P) was formed in 1901 after its separation from the Punjab, there was only one college Edwardes College) in whole province. This scarcity of quality educational institutions forced local youth to travel to faraway regions of the country (British India) in pursuit of higher education. This same lack of educational opportunities in the region motivated Nawab Sir Sahibzada Abdul Qayyum and Sir George Roos-Keppel to establish an institution that would not only cater the academic needs of the region but also produce leaders from the region. By 1909, as the idea of a college in the province was taking shape in the minds of both Nawab Sir Sahibzada Abdul Qayyum and Sir George Roos-Keppel, it was further strengthened by their visit to the Aligarh Muslim University the same year. Nawab Sahib asked the students, especially those from the N.W.F.P. who were studying there as to what were the problems they were facing there and how he could help them. The students told him that they needed a hostel. Nawab Sahib informed them that rather than building them a hostel at Aligarh, he would build them a college at Peshawar. Consequently, on April 12, 1911, Nawab Sahib arranged a meeting of like minded people in Peshawar at the residence of Abdul Karim, contractor at Peshawar city, which was attended by Arbab Ghulam Haider Khan of Tehkal, Habibullah Khan, Khushal Khan, Sethi Karim Bakhsh, Sir Sahibzada Abdul Qayyum and others. Sir Sahibzada Abdul Qayyum moved the motion for collection of contributions, which was instantly responded to by cash donations by all present.Khan Bahadur Mian Rahim Shah Kaka Khel donated heavily at the meeting and promised to make a hostel for the students apart from the donation, which he did and still it stands in the campus as “Rahim Shah Ward”. In addition to his instant cash donation, the Nawab of Dir promised further cash besides four hundred trees. The Nawab of Amb, Nawab Muhammad Khan Zaman Khan also made huge cash contributions of Rs. 1,00,000-00 on request of Syed Abdul Jabbar Shah to the cause. Subscriptions were also given by the Afridi Chiefs and leading religious elders. An example was set by Bibigul, widow of Khairullah Khan of Prang, who gave her ornaments on Jun 6, 1911 as her subscription towards the college fund. Subsequently, a large plot of land was purchased for the college building from the Khalils(Arbabs) of Tehkal. Rs. 1,50,000/- from Nizam of Hyderabad was sent by Syed Abdul Jabbar Shah to Sahibzada Abdul Qayyum as donation for the college. Haji Sahib of Turangzai, the most famous Pukhtun religious leader of the time was requested by Nawab Sir Sahibzada Abdul Qayyum to lay the foundation stone of Islamia College. Haji Sahib agreed to the request, however, he had been declared a proclaimed offender by the British for his anti-British activities and his entry was banned into British controlled territory. He was residing in tribal territory, which was outside British control, so Nawab Sahib prevailed upon Sir George Roos-Keppel and the British to permit Haji Sahib to enter British controlled territory for one day so he could lay the foundation stone of Islamia College. The British agreed to this request with the understanding that Haji Sahib would return to tribal territory once he had laid the foundation stone. Haji Sahib was permitted to enter British controlled territory for the ceremony and spent the night in the ‘Pokh’ Mosque of Tehkal. At the foundation stone laying ceremony, Sir Roos Keppel and other British officials were present, so Haji Sahib hid his face in his sheet (Chadar) from them and was led by Sheikh Muhammad Ibrahim to the place where he was to lay the foundation stone. After laying the stone Haji Sahib went to Tehkal and then returned to the tribal territory. The college was opened on October 1, 1913 and students were admitted for the first year and third year classes only. The first student to get enrolled in the college was Sahibzada Khurshid (Nawab Sahib’s cousin and whom he had raised as a son). Sahibzada Khurshid later on became the Governor of Khyber-Pukhtoonkhwa in 1949. At the close of the year, the number of enrollment had reached 33. Initially, the college had ten members of teaching staff, one clerk, one accountant, and two hostels, i.e., Qayyum Manzil and Hardinge Hostel. Mr. L. Tipping was the first Principal. Allama Mashriqi was the vice principal and the professor of mathematics, and Maulana Qutb Shah as the Dean of Theology. Besides the physical beauty of the college, Nawab Sahib was very particular about its academic standard and was very careful in appointing any new professor or teacher. For this purpose, he was always in search of learned and well educated people. After the sad demise of Nawab Sir Sahibzada Abdul Qayum in 1937, the college was left more or less an orphan in the hands of others. However, the college survived the ups and downs of the latter years of the last century and the early 21st century when it achievec the status of University. Professor Dr Naeem Khalid is the founder of BS Integrated program in this province and first he started in Islamia College. He is Director of Academics and Admission of the University and as an alumnus of this college he has great love for it. He is appointed as Director APARO by Honourable Ajmal Khan, the Vice Chancellor. Prof Dr Khalid gained his PhD in Physics at Cambridge University UK. Ghayur Ahmad is a Principal Staff Officer of the VC’s Sectt. Ghayur Ahmad is a faculty member in Management Sciences department, he is an alumnus of this college and received his higher education from the University of Bedfordshire UK. Ajmal khan is an eminent educationalist in Pakistan. He was the vice chancellor of Gomal University, D.I.Khan for two years.Ajmal Khan belongs to Utmanzai(Charsadda).He obtained his early education from Convent Murree and Burn Hall Abbotabad School. After completing his education,He was appointed as education Officer at UNESCO. After serving as Assistant Director AIOU Islamabad,he joined edwards College Peshawar as a Lecturer and then switched over to the University of Peshawar and worked on different positions.He is also member of HEC for KPK.